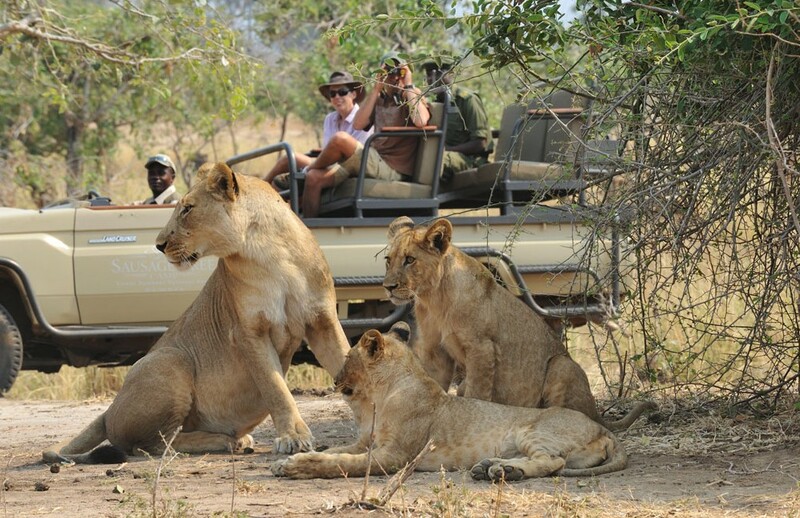 A perfect Lower Zambezi bush camp in every sense of the word. Potato Bush has hit the balance between luxurious accommodation and a relaxed intimate camp atmosphere. This, combined with the design and size of Potato Bush makes it the perfect camp for family safaris or for groups to book out exclusive use of the camp. 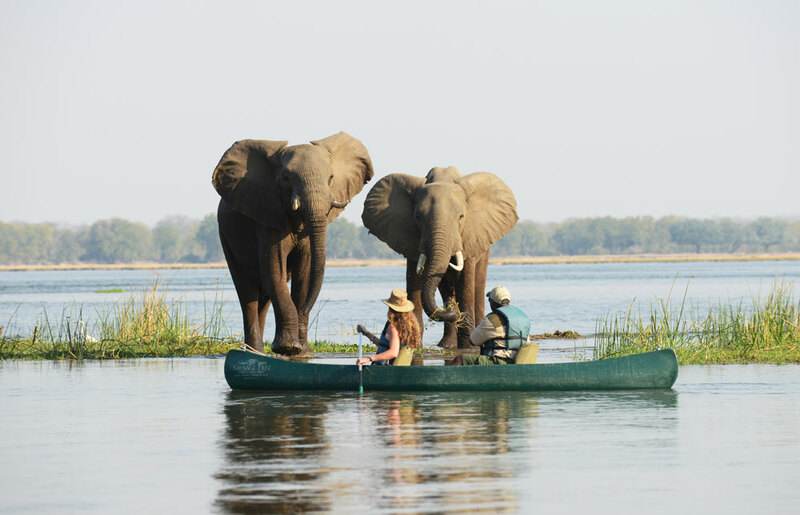 Offering all the superb safari activities that the Lower Zambezi National Park and her sister camp Sausage Tree are so well known for as well and the host of Wildman Safaris’ Lower Zambezi Tiger fishing Safari. 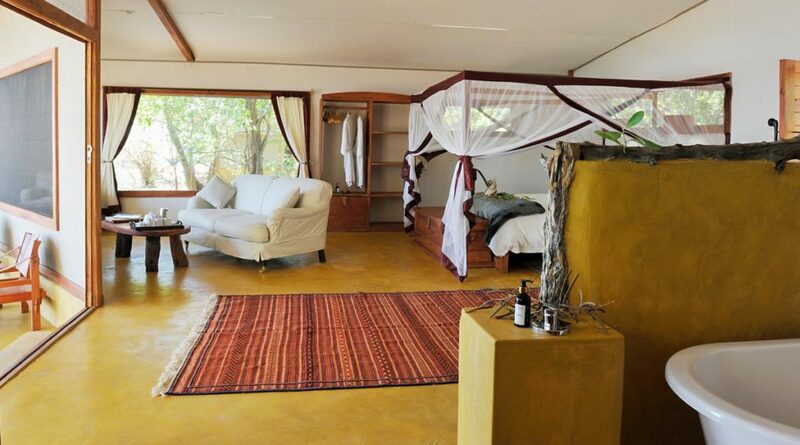 Potato Bush Camp can accommodate up to 10 people in 3 x Safari tents and 1x 2 bedroomed Family Tent. A standout feature of all the tents would be the private plunge pools which are fantastic for the warmer months, their unsurpassed views of the Zambezi River and spacious and airy design. 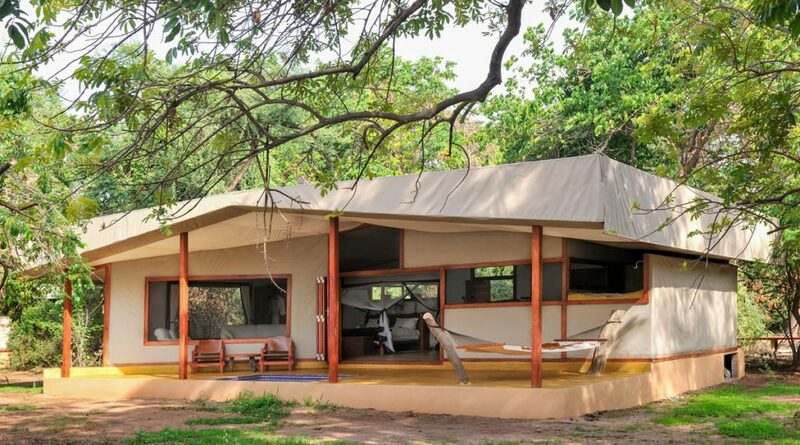 There are three luxury Safari Tents at Potato Bush Camp - all one bedroom, extremely spacious with a large four poster bed (twin beds in one of the tents), seating/lounge area and en-suite bathroom. Directly in front of each tent is a private balcony with plunge pool, deck chairs and a 2 person hammock all of which have look onto the Zambezi River. 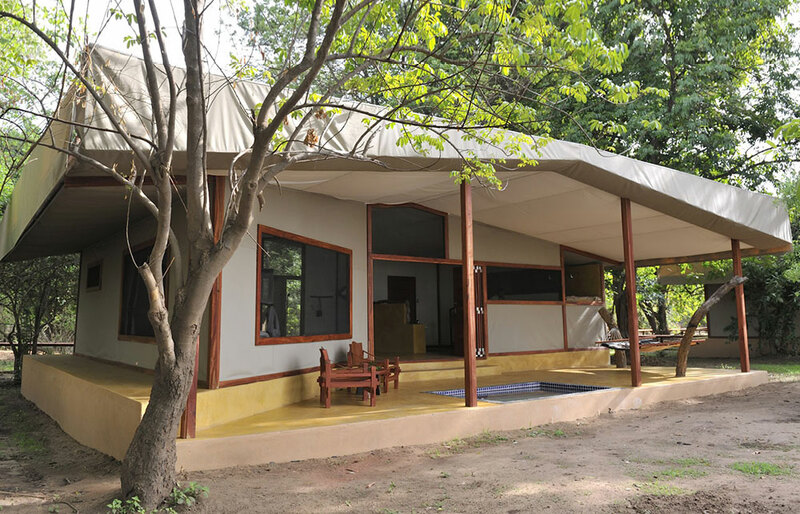 The Family House at Potato Bush camp is perfectly suited for small groups or families. It is extremely spacious with 2 bedrooms (both with en-suite bathrooms), separated by a huge dining and living room area all of which lead onto a private deck with plunge pool, deck chairs and a hammock. If needed, extra beds can be placed inside either of the rooms. Guests will be able to enjoy most of meals inside the main boma at Potato Bush Camp, which is perfectly positioned right on the banks of the Zambezi, providing stunning river views. Inside the boma is a dining area - which can easily seat up to 12 guests, a lounge/seating area and well stocked bar. Guests can also relax around the camp fire situated just in front of the boma. 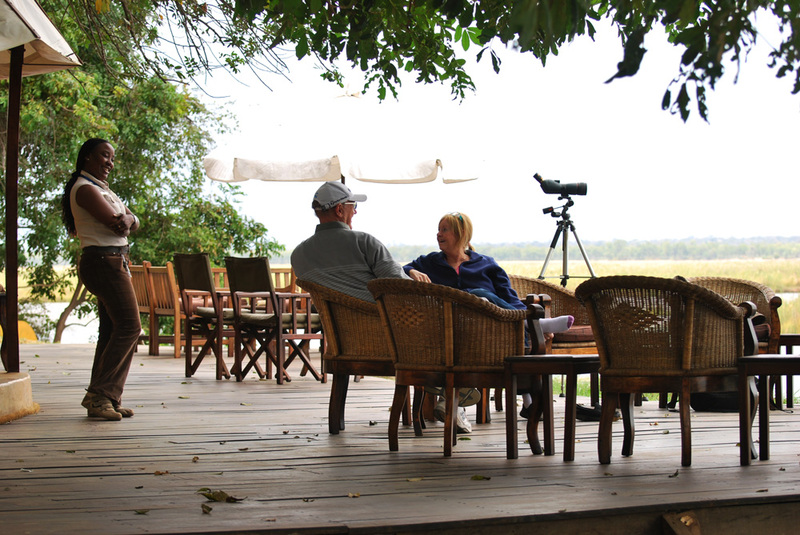 Something really special and unique to do in the Lower Zambezi is a river lunch. 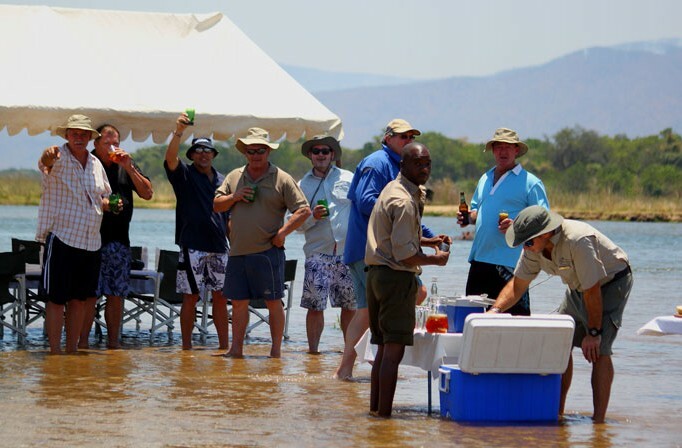 Set up on a sandbar in the Zambezi River will be your "dining table" decked with gourmet food ready for you to enjoy whilst letting the water lap at your feet. A truly unique experience.. and especially enjoyed on a scorching hot summers day! TO NOTE: All tents come with twin showers, twin basins, 4 claw bath tub, a 2 person hammock, fans, WI-FI and 24hr electricity. 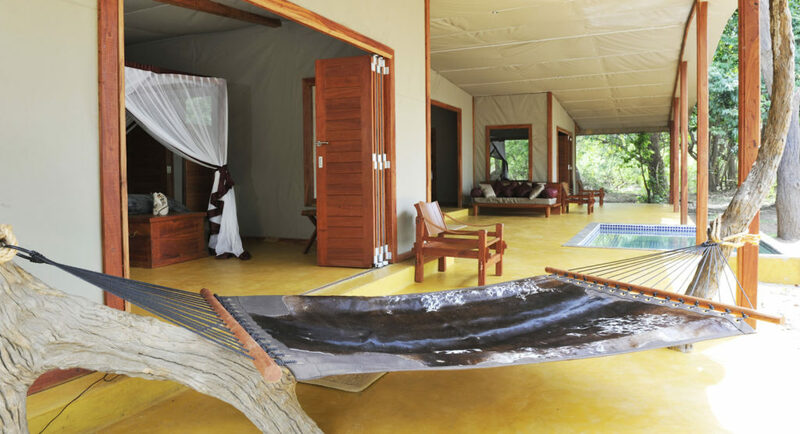 All tents also have their own private plunge pools. Interested in visiting Potato Bush Camp?